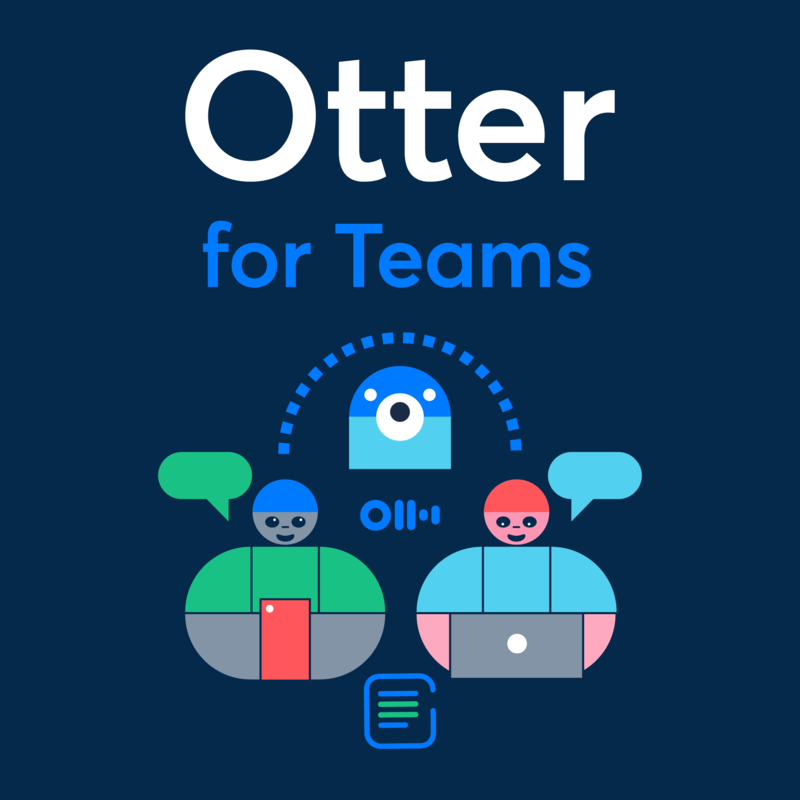 Otter.ai, creator of Otter, an AI-powered live transcription and collaboration service, today introduced Otter for Teams, bringing the power of Otter to small and medium businesses and teams in larger enterprises. Sam Liang, a repeat entrepreneur and the former Google engineer who led development of the familiar blue dot on Google maps, co-founded Otter.ai in 2016 with a vision to make all important voice conversations memorable and instantly accessible. Since its launch last year, adoption of Otter has consistently grown close to 100 percent each quarter, and to date, users have recorded, transcribed, organized and edited more than 6 million audio- and video-based meetings, lectures, and other important conversations to date using technology from Otter.ai. Otter for Teams includes a number of new features to make it an enterprise ready product, including account management and provisioning, reporting, and support for single sign-on. Otter for Teams also enables users to see conversations shared with them by team members rendered live in their account. The new release reduced the speech recognition error rate by more than 25 percent and reduced the speaker-recognition error rate by more than 50 percent. In addition, the new subscription version debuts functionality including real-time collaborative highlighting and shared speaker identity tagging. The existing free and premium versions of Otter render transcripts of conversations in real time and generate smart notes that sync audio, text and images. Users can search, play, edit, organize, and share conversations from any device via the Otter app. Business and healthcare professionals, journalists, students, clergy and others are using Otter to replace outmoded methods for capturing information from lectures, meetings, and other important conversations. Users may capture conversations live via the Otter app on their mobile device or via the browser on their laptop. A partnership between Otter and Zoom enables conversations recorded by Zoom users to be automatically uploaded to Otter, although Otter users also may upload recordings from their favorite call recording application or online meeting service. Otter.ai has been piloting Otter for Teams with a number of enterprises, including creative agencies, large financial institutions, independent brokerages, government bodies, and design consulting companies. In addition the product is being provisioned to students at educational institutions including Harvard and UCLA. Otter for Teams is being made available on a subscription basis for $12.50 monthly for annual contracts.